Saudi Arabia, for the first time ever, is participating in the Cannes Film Festival in France. 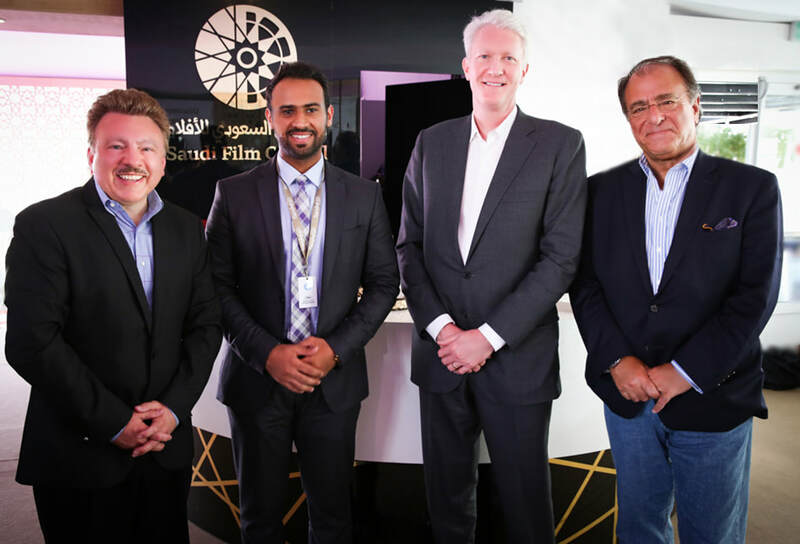 The recently-established Saudi Film Council, under the leadership of CEO Faisal Baltyuor (second from left), is hosting guests from all over the world in its pavilion this week. of Cinedigm ​(second from right); Barry Lederman, President of Jonathan Partners (far right).